Apple's newest MacBook Pro is one cool customer, literally. It's got the new Core 2 Duo processor, which offers a speed bump from 2.16GHz to 2.33GHz. (The first-generation MacBook Pros topped out at 2.16GHz and used Intel's Core Duo chip.) But what a difference that "2" in the processor name makes. Apple's newest MacBook Pro is one cool customer, literally. It's got the new Core 2 Duo processor, which offers a speed bump from 2.16GHz to 2.33GHz. (The first-generation MacBook Pros topped out at 2.16GHz and used Intel's Core Duo chip.) But what a difference that "2" in the processor name makes. For speed demons, this is the fastest laptop Apple has yet offered. Aside from the fact that it's about 8 per cent faster in terms of clock speed, underlying changes to the processor design - especially a doubling of the Level 2 cache memory from 2MB to 4MB - mean the uptick in speed is noticeable. Until then, the only hardware on hand to compare with the earlier models is the 15-inch version. Apple loaned one out for review purposes and it arrived on Wednesday. Although I haven't had time to put it through all its paces, I wanted to offer at quick first look at how this iteration stacks up to its older laptop brethren for those eyeing them in stores. Unlike most incremental upgrades between models, I'd say the shift from the Core Duo to the Core 2 Duo - in tandem with some strategic moves by Apple to make the new laptops even more of a value - is a bigger deal than usual. In the not-so-distant past, a laptop "update" usually meant a slightly faster processor, a slightly larger hard drive, maybe some more video RAM and - well, that was sometimes about all there was. This time, would-be buyers get a better and faster processor with a number of under-the-hood changes that keep heat and power use under control; a substantial upgrade in hard drive options that includes a 200GB drive for mobile users who really need storage space as well as a 160GB drive that uses new perpendicular technology; and an across-the-board doubling of RAM to either 1GB or 2GB depending on which MacBook Pro you're talking about. Prices remain the same. The stock 15-inch MacBook Pro starts at £1,349, but the model tricked out by Apple for this review is a more expensive built-to-order version. In addition to an upgrade from the dual-core 2.16GHz Core 2 Duo to the 2.33GHz chip, the model in front of me has 2GB of RAM; the 160GB, 5,400-rpm hard drive; an ATI X1600 graphics card with 256MB of video RAM (the stock card offers 128MB of VRAM); and a dual-layer SuperDrive and a FireWire 800 - both of which were offered on the 17-inch model before and are new to the smaller MacBook Pro). There's also the usual wireless networking capabilities, a built-in iSight, the now-standard backlit keyboard and other carryovers from previous models. In terms of speed, I used the benchmarking application Xbench, which measures a number of parameters - CPU, RAM, graphics and hard disk - to arrive at an overall score. For comparison purposes, Xbench reported a score of 90 for the first-generation Core Duo version of Apple's 17-inch MacBook Pro. Note: That model had the slower 2.16GHz chip, but a faster 7,200-rpm 100GB hard drive. So how does this one compare? Running Xbench on the new MacBook yielded a score of 108 - a 20 per cent gain for a chip that, as Apple product manager for portables Todd Benjamin notes is "less than 10 per cent faster" than the Core Duo processor. Part of the 20 per cent jump - Apple found even faster gains in its own tests of professional applications such as Final cut Pro - comes from changes in the architecture of the chip itself. "The big change is that the chip has more cache, 4MB of Level 2 cache," Benjamin said in an interview. And because the Core 2 Duo is a 64-bit processor, "it's processing 128 bits of data per cycle, which is double what the Core Duo did," he said. On top of that, Apple continues to tweak Mac OS X so that it can better take advantage of the newer processor, Benjamin said. "We always take the time to optimise Mac OS X. 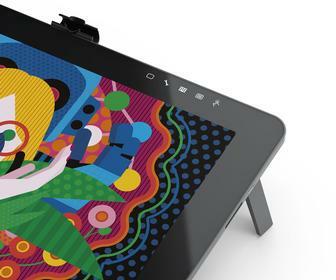 You don't just pop [new hardware] in and use it for free. We always like to take advantage to add enhancements where possible." I did notice that boot-up times from startup happy Mac chime to desktop took a little longer than on my earlier MacBook Pro. Benjamin said that could arise from the amount of RAM installed; I think it's more likely something that was copied over when I migrated my files that may slowed things down a tad. I often reinstall the operating system when I get new hardware so I can pare back on programs, foreign language fonts and printer drivers I won't need. There's nothing like a fresh copy of the operating system for that snappy software feeling. I haven't done that with this particular laptop, however, preferring to use Apple's migration assistant to move my directory over for me. While I and other users often clamour for faster processors and more speed, many have also noted how hot the Core Duo-based laptops get - especially with all of that heat radiating through the MacBook Pro's aluminum shell. Apple seems to have tackled that issue head on: heat is significantly reduced in the new models. Using another little benchmarking application, CoreDuoTemp, I took the temperature of a first-generation 17-inch MacBook Pro: 158 degrees Fahrenheit. By comparison, the new MacBook Pro never got above 133 degrees Fahrenheit and generally stayed about 10 degrees cooler than that under light to moderate use. That's noteworthy - especially given that the 17-inch model has more room to dissipate heat because of its larger aluminum chassis. No doubt the redesigned vent at the rear base of the LCD screen - glossy in this case - helps. Instead of a row of tiny vertical slots, the new laptops have six horizontal openings, each about an inch wide that allow more air in. "The better ventilation out the back of the computer helps us dissipate some of the heat," said Benjamin. "When we launched the original MacBook Pro, all of them featured dynamic fan control. The fans may run slow, they may run fast and they will adjust depending on what you're doing." Apple then released an update that kept those fans running continuously at low speed. "It keeps the case temperature cooler for the user and keeps the components [inside] cooler," Benjamin said. "We heard users when they said they'd like the [MacBook Pro] to be cooler. Certainly, we have proceeded with that thought in mind: how do we keep case temps down and how do we keep [the laptops] quiet." Benjamin declined to talk about 802.11n compatibility. "The integrated solution is fully backward compatible, but I can't speculate on future capabilities," he said. It's worth noting that Apple was ahead of the curve a few years back with 802.11g networking, moving toward that wireless technology before the standard was officially in place - and before many of its competitors followed suit. A similar move now would offer more future-proofing for these models; 802.11n isn't expected to be set as a standard until next year, but the technology offers better range for wireless connections and much better transfer speeds. We'll see. There's no doubt that anyone but the owners of the most recent Core Duo laptops will see a major speed increase with Apple's latest laptops. And even owners of the just-discontinued models might find enough her to tempt them into yet another Apple purchase. Benjamin reiterated that the new MacBook Pros are seven times faster than the top-end PowerPC-based PowerBooks being sold just a year ago and. Using a touch of market speak, he called the new models "mobile creative powerhouses." "There are those out there who will upgrade for particular features," he said. 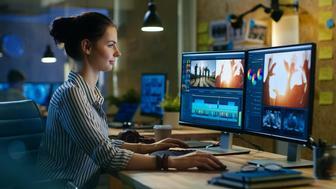 "If you are someone who is a media professional who does all your work on the road - and the faster performance of the latest models is useful, then certainly people will buy this one. There's a number of features they might want." Indeed. That would explain the impatience of a certain editor with a 17-inch MacBook Pro on order. Time, perhaps for another check of that online order status page.